Beverage maker Coca-Cola chief executive James Quincey said in an investors earnings call that India, along with a few other emerging markets has shown ‘improvement’ in the October-December ’17 quarter. 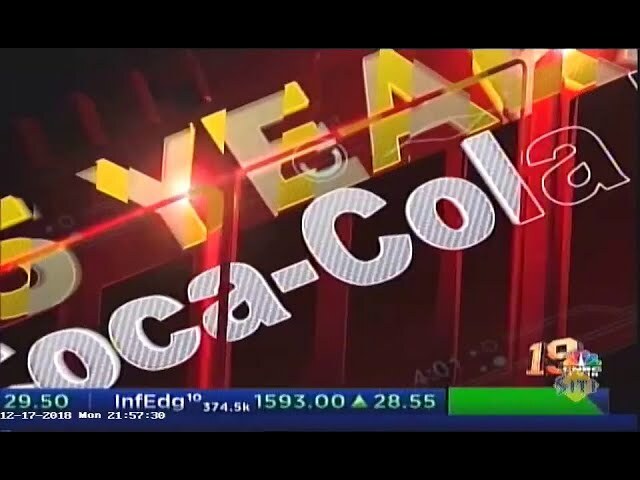 The Coca-Cola Company, which follows a January-December financial year, did not specify numbers for the India market. Most consumer-facing companies in India have posted higher-than-average volume growth in the October-December ’17 quarter, on account of the base effect of demonetisation in the corresponding year-ago quarter. “Other emerging markets were more challenging, especially in the first half of the year, but we saw improvement in key markets like India, Argentina and Brazil as we moved into the second half,” Quincey said during the earnings call. He said the company ‘accelerated its transformation into a total beverage company with a consumer-centric brand portfolio and an asset-light business model’. Similar to other markets it operates in globally, in India too Coca-Cola has been hedging risks by broadbasing its portfolio to include low-sugar or healthier drinks including juices, juice-based beverages, tea and flavoured waters. Quincey said the non-alcoholic beverage industry was soft during 2017, as the emerging and developing markets slowed slightly from prior year. The company reported full year organic revenue growth of 3%.